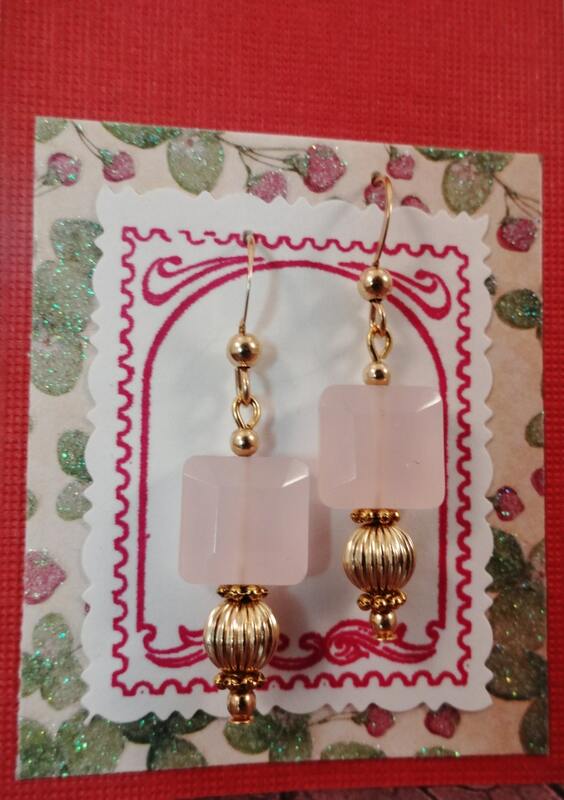 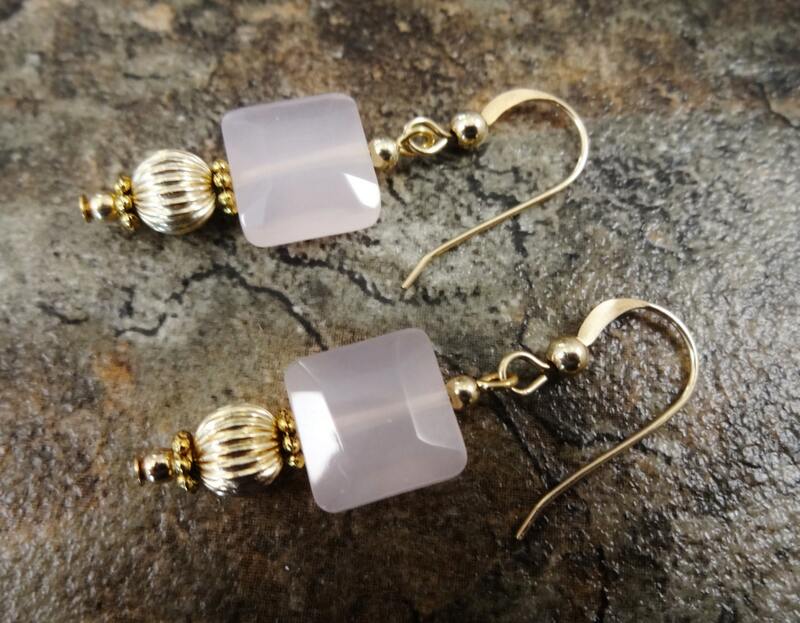 Lovely faceted squares of Rose Quartz with a 6mm round ribbed 14k gold fill bead nestled beneath a gold daisy spacer. 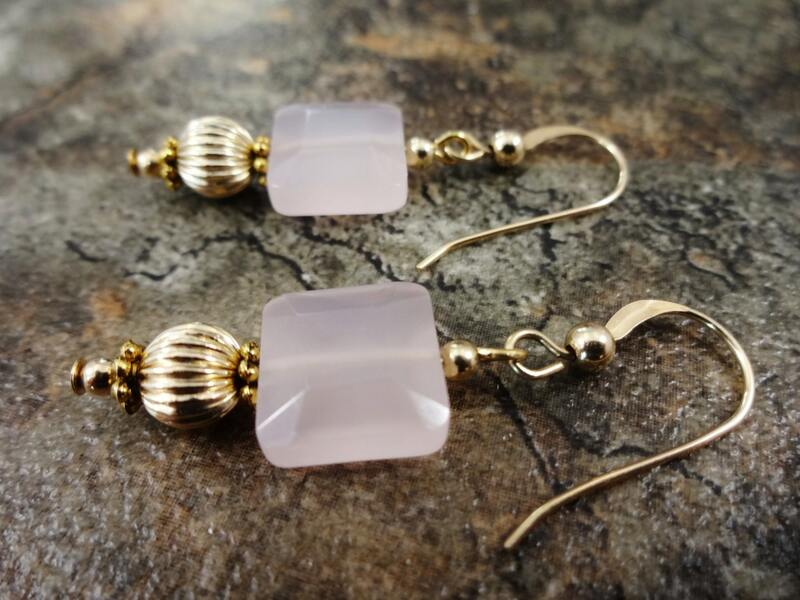 Classy and elegant, these natural stone earrings will make you feel young and feminine. 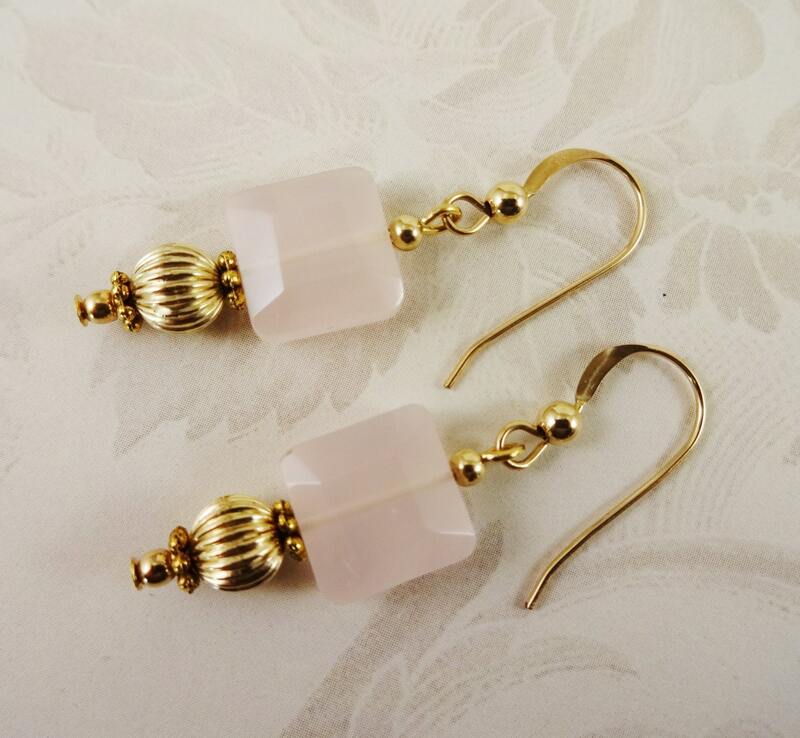 The total length of the earrings is about 1-1/2 inches. 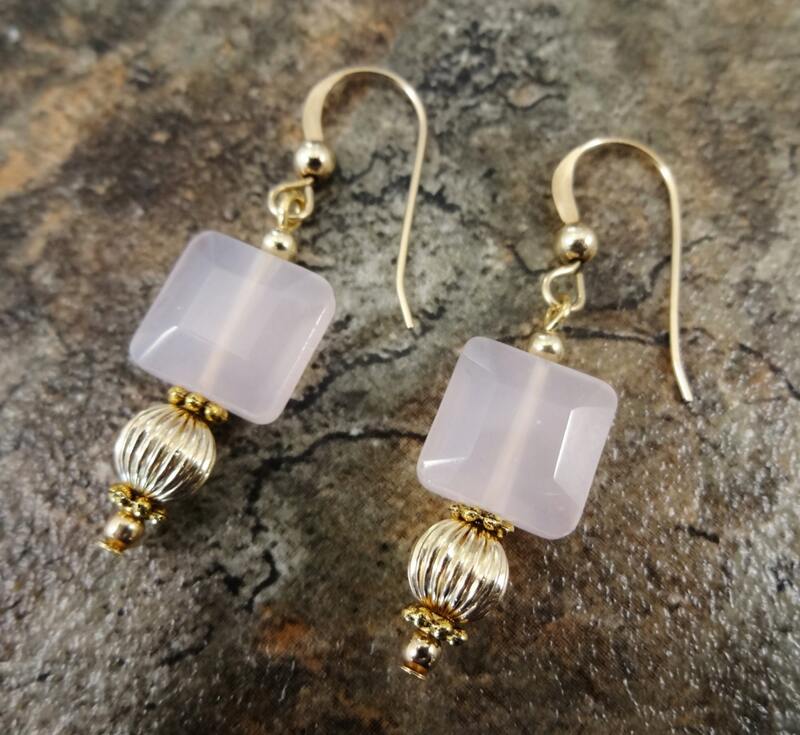 Made to order - please allow an extra day.